The EC under BN had stopped distributing the RDPT to political parties before GE14 and this policy is still in force. The RDPT is important for the stakeholder to counter-check on the abuse of voter registration. In the Nibong Tebal parliamentary constituency, a certain unscrupulous party in cahoots with the JPN plus the EC had transferred 2,956 voters from outside of the constituency to Nibong Tebal and 1,217 voters were transferred between the state constituencies within Nibong Tebal from the Jawi state constituency to either Sungai Bakap or Sungai Acheh so that it could ostensibly benefit Umno in both Sungai Bakap or Sungai Acheh. Besides this transfer of voters from outside Nibong Tebal, some of the voters in Nibong Tebal were transferred out to the Perai state constituency and most of these voters did not even know that they were transferred until they found out about it just before the GE14. Their addresses inside their MyKad chip were changed to those addresses in Perai thus making them eligible to be transferred to the Perai state constituency. These poor voters are now voters in constituencies far away from their home and most likely this will prevent them from voting in the next election. With Art Harun around, can the EC restore the policy of distributing the RDPT in MS Access as EC used to all the stakeholders? The RDPT which contains the voter’s information like name, new and old IC number, localities, voting districts, etc and most importantly the addresses of newly-registered or newly-transferred voters. It would be of great help if the EC could include the contact number of these voters so that they can be called and their identities verified. Talking about localities, the EC should standardise the naming of localities by referring to the smallest possible location. For example, it should use the name of the road or street as the localities instead of the name of the residential area. The EC has renamed most of the localities based on a larger area or a general name which makes it difficult for candidates to locate voters. Between 2008 and 2010, the EC renamed 9,218 localities affecting 587,680 voters in Selangor alone. The Daftar Pemilih Induk (DPI) or Daftar Pemilihan Pilihanraya (DPPR) still does not provide the addresses of the voters. How are the candidates able to locate the voters when the name of the localities provided by the EC is very general for example, Bandar Tasek Mutiara which is a big housing estate with more than 10,000 residents and 4, 238 registered voters during GE14. Shouldn’t the EC be making it easier for the contesting candidates to locate voters and canvass for their votes by including the voters’ addresses or/and contact numbers in the DPI? Meanwhile, the problem relating to voters registered without house numbers increased dramatically from about 668,710 voters on the DPI in 2010 to 4,393,216 voters during GE14. In some cases, the EC registered these voters with their house number or addresses but somehow these were not included in the DPI. Even in Putrajaya, there were voters there without house numbers as can be seen in the DPI provided by the EC. This is not possible because Putrajaya is a new township with modern housing estates. Sadly, the EC did not follow its own rule in performing the belah bahagi process across two different parliamentary constituencies as happened before 2011. 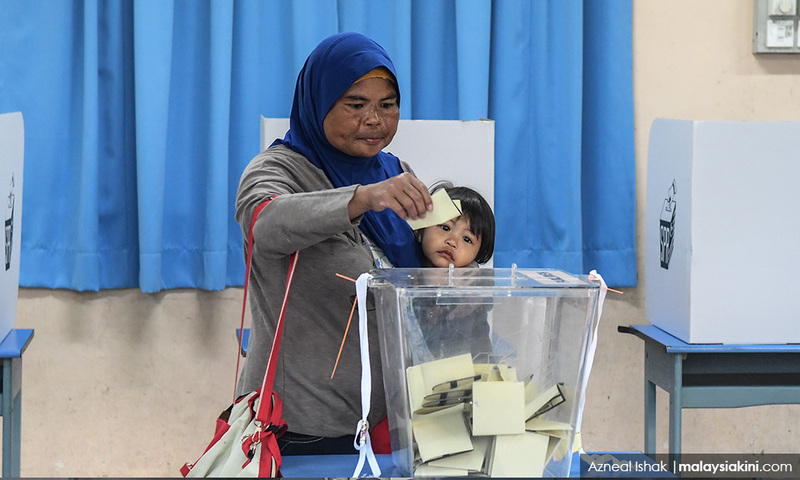 In Selangor, the EC cut across the boundaries of two parliamentary constituencies involving 2,588 voters and 2,738 voters across two different state constituencies. It also happened in Perak affecting 5,591 voters. Putrajaya should set up a mechanism to stop the EC from performing tasks that do not follow its own rules and regulations. They shouldn’t be allowed to have a free hand in changing things as they like. Also, the closing hour for the Jelai state constituency's polling stations in Cameron Highlands was set by the previous EC administration but it was wrong for the current EC to blindly follow it. Why did it not extend the voting hours in Jelai for the convenience of the voters? Voting centres with more than 1,500 voters should be allowed to open until after 5pm if the distance of travel from the furthest points in the voting district is very far from the voting centre. Lastly, it is commendable that the EC has published the full result of the Cameron Highlands by-election but it could do better by having the results in a scoresheet format. This will make life easier for those who want to analyse the outcome of an election. It is important that a check and balance system be put in place to ensure that there is no abuse of power within the EC or any GLC. All the above reform initiatives do not require any amendment of the Federal Constitution. So what are you waiting for, EC?